The app was developed by a team of expert engineers who work around the clock to ensure the app runs smoothly. So there’s Uber, the app allowing users to hire private drivers with the tap of a button on a smartphone, then there is Ghroupdrive, a transformative platform with a similar concept – except rather than request a compact car for individual use, businesses, religious bodies and social groups can rent buses and hire drivers to commute large groups of people to destinations throughout Ghana. 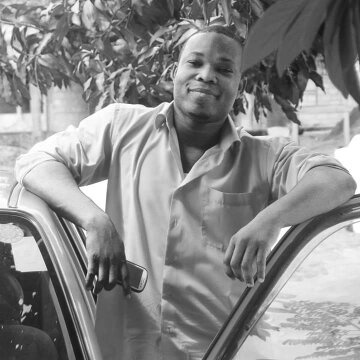 Entrepreneur Patrick A. Kumah conceived the idea in 2015 when he noticed that the country did not offer a service to transport multiple people in a convenient way. Ghroupdrive, he told Myjoyonline, was a ride-sharing system he noticed the country was in dire need for. Luckily, Kumah and his team had connections in the market and without hesitation, he began toying around with ideas of ways he could help. Two years later, Ghroupdrive was born. With Ghroupdrive, users skip the hassle of negotiating back and forth with rental companies. In just a few taps, a driver and bus is ready, waiting and at your service. Android and iOS users can download the app via The App Store or Play Store at no cost. Once downloaded, users can conveniently request for a bus for any occasion by entering their desired destination and the number of passengers who will be on board. Before confirming the trip, the app will provide the user with the estimated cost and a link that can be shared on social messaging platforms in order for passengers to confirm seats. Users who are unsure about the exact number of passengers can use the unique link to request that passengers join and confirm their seats. Within minutes of confirmation, the vehicle (equipped with a driver), arrives to the designated destination. Kumah added that Ghroupdrive beats competition while adding a touch of sophistication to the experience. All buses come furnished with high-end furniture and appliances, with light bites and beverages provided for each guest. The app was developed by a team of expert engineers who work around the clock to ensure the app runs smoothly. Customer service teams are available 24 hours a day, seven days a week to fulfil all customer requests. To learn more about Ghroupdrive, visit here. Follow Ghroupdrive on Facebook, Twitter and Instagram for all the latest updates.